Think solar energy is more expensive than traditional natural gas and oil? Think that solar equipment is too pricey for your young, modest household? Think again. Solar energy is repeatedly proving to be more affordable for more and more homeowners, especially due to the recent extension of the Energy Policy Act of 2005 or Solar Investment Tax Credit (ITC). Nearly every household can benefit from the ITC, especially when armed with information from an expert like Shane Perkins, co-owner of Legend Solar, Utah’s fastest growing solar power company. What is the solar tax credit? The ITC provides an incentive of up to 30 percent of your costs on your federal tax return when you choose to power either your residential or commercial property with solar energy. It will be valid at this rate until December 31, 2019, at which time it will decrease each year until December 31, 2021, when it remains indefinitely at 10 percent for commercial consumers and dissolves completely for residential. Why is the ITC important? “Not all tax credits are created equal, but all strive to promote a healthier economy in one way or another,” Perkins said. As a renewable energy, solar is beginning to play a vital role in the American life by creating higher paid jobs, global competitiveness, and lower energy costs for both businesses and homeowners. Solar Energy Industries Association (SEIA) reports that the ITC has assisted in cost decline for solar customers, fueled dramatic growth in solar installations and created hundreds of thousands of jobs. “Essentially, the federal government is giving 30 percent of the paid cost back to the buyer based off of the initial solar cost,” Perkins said. A study was conducted by NC Clean Energy Technology, in which they discovered that solar PV customers in America’s 50 largest cities who had invested in a 5 kW solar PV system saved on average between $44 to $187 per month during the first year. For a full list, visit this link to determine the savings based upon your area. Instead of trying to figure out a way to capture and bottle the energy of your busy 2-year-old and all the benefits that burst of activity could bring to your entire home, explore the opportunities of harnessing the sun. It’s more affordable than you think with the Solar Investment Tax Credit, and the sun never requires that necessary afternoon nap. *thank you for this guest post! Healthy sleep is so important. 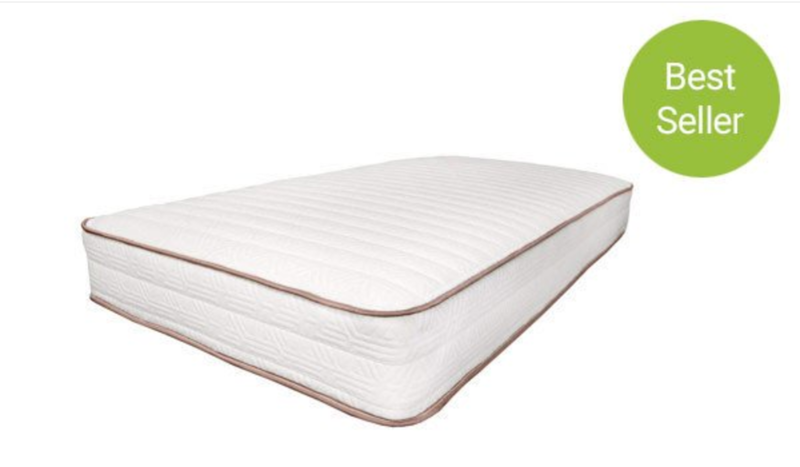 Today I’m excited to partner up with My Green Mattress to share with you their most economical, affordable, All Natural and Organic Mattress. You will also have a 100-night trial to test it out and 10-year warranty. Your kids will never sleep better! I partnered with My Green Mattress for this sponsored post. All opinions my own. My Green Mattress is in charge of running the giveaway and choosing the winner. Ends 11/28.